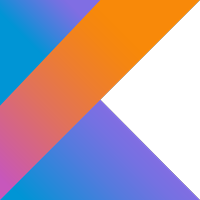 現在のプロジェクトが利用できる extension と convention のKotlin 実装コードを表示するタスク. * Configures the [junitPlatform][org.junit.platform.gradle.plugin.JUnitPlatformExtension] project extension. * Retrieves the [junit][org.mikeneck.junit.starter.JunitExtra] project extension. * Configures the [junit][org.mikeneck.junit.starter.JunitExtra] project extension. * Adds a dependency to the 'api' configuration. * @param dependencyNotation notation for the dependency to be added. * @param dependencyConfiguration expression to use to configure the dependency. 出力内容例の一番最後の部分から、この java-library プロジェクトで 依存ライブラリーを追加する際には DependencyHandler のブロック内で api という関数に 文字列で依存ライブラリーの文字列表現とその設定用の レシーバー付き関数を渡せばよいということがわかる. こちらも、 kotlinDslAccessorsReport とほぼ同様な感じで、現在のプロジェクトで利用可能な conventions / extensions / configurations の一覧を json 形式(ファイル名は project-schema.json)で gradle ディレクトリーの下に出力する.